Boccadutri International Law Firm serves a worldwide network of clients with its international lawyers located across the globe and offices in Palermo, Milan, Rome, London, Barcelona, New York, Bucharest, Krakow, Rosario and Rio de Janeiro. Our practice philosophy is based on clear communication and prompt service. We provide sound solutions to our clients’ legal problems in a personalized, responsive, and cost-effective manner. Our mission is to offer clients from each corner of the world outstanding legal assistance for any issues or interests they may have in Italy. This allows us to build long-lasting relationships with our client base, as we understand that our own success is based on our clients’ success. Our practice meets the highest standards of competence and professionalism. No matter how difficult the challenges, we are committed to developing honest, ethical, and cost-effective solutions. Boccadutri’s Forex lawyers have successfully recovered money for clients in various international forex scams and frauds. Forex is an over-the-counter market where buyers and sellers conduct foreign exchange transactions, also called the foreign exchange market. Foreign exchange is an instrument employed to make payments between countries – paper currency, notes, checks, bills of exchange, and electronic notifications of international debits and credits. Our international lawyers ensure that communication is clear in understanding your wishes which are then represented by our Italian Personal Injury lawyers as the case progresses. Our global presence and network of professional collaborations that extends to all five continents ensure that, in your native language, you can get the compensation you deserve from your home country. Probate is a complicated matter in Italy, even for small estates, but we continually assist clients from all other the world in dealing with the Italian estate of their relatives and pride ourselves on providing them with exceptional service. We understand that dealing with the loss of a loved one is a very difficult time and we are therefore fully committed to ensuring that we provide our clients with the best possible assistance to make sure the probate process runs smoothly. Our experience and knowledge in real estate market means we are able to give you the best guidance and advise you on which kind of investment to consider. Boccadutri International Law Firm has gained huge experience in legal services related to real estate. 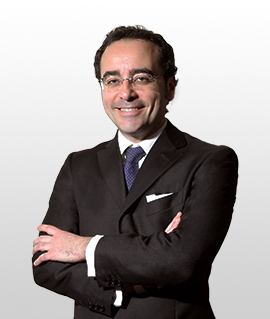 Our team includes international, corporate and Real Estate lawyers. We offer services directed to Italian and foreign investors who are interested in buying and selling real estate in Italy and abroad. Our global presence means we are fully aware of the ever-increasing cross-border transactions and the problems that can arise. We have a history of being able to resolve these matters quickly and effectively with as little disruption to business as possible, no matter how large or small the claim is. Italian debtors are always quick to pay once confronted by a reputable Italian Law firm. Our Italian lawyers act for international clients across Europe and internationally who are embarking on divorce or separation in Italy. Family law matters are often complex and are usually handled during periods of high stress and emotion. It can be difficult to make life-impacting decisions under such circumstances. For this reason, it is important to have a family law lawyer help you wade through the chaos. Tax disputes and litigation also form an important part of our practice. The focus of the Tax Practice reflects the changing business environment in which we live. The tax law is becoming more dispute-oriented, more international in scope and, despite efforts to the contrary, more complicated and subject to frequent revision. Boccadutri’s Tax Practice assists clients in responding to the challenges of the current environment by emphasizing the development of creative, practical solutions to tax problems. We advise and represent both corporate and private individuals for crimes that they have been accused of and also crimes that have been committed against them. Criminal proceedings can often be lengthy and stressful, which is why our team of expert criminal lawyers is well placed to assist you in these matters, as their experience in criminal cases means that you can be assured that you are receiving exceptional representation. Boccadutri’s specialist lawyers have extensive experience and expertise in Administrative law practice areas. Our clients are made up of large companies, private individuals and public administration. 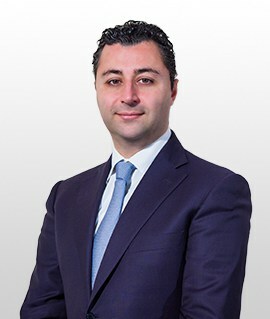 We provide both judicial and extra-judicial assistance for private individuals, companies and public in all of the following administrative law sectors: Public tender procedures, grants and loans; Public infrastructure and project financing; Compulsory purchase procedures, land use management, town planning and construction law; Public transportation regulations such as air, rail and road; Public contracts for licenses. Boccadutri has built up a well-established experience in assisting and advising businesses on commercial and corporate matters. We advise businesses on legal rights, responsibilities and obligations and we counsel clients and handle business transactions including negotiation, drafting and review of contracts and other agreements associated with the activities of the business. We offer consultation in the area of intellectual property, specialising in the protection and safeguarding of brands, patents, models, designs and copyrights. Our work consists of offering services that include all technical and legal elements connected with safeguarding, management and valorisation of intellectual property. Boccadutri International Law Firm, thanks to its expert lawyers in Immigration Law, guarantees competent legal assistance and consultation to foreigners that intend to settle in Italy. Our law firm is available to all foreigners who, with good reason, intend to acquire the rights of an Italian citizen and to take on, at the same time, its responsibilities. Boccadutri has lawyers in offices throughout Asia Pacific, Europe, the Middle East and the Americas. Organised into a number of core business areas, we have the flexibility to configure teams that meet our clients’s needs in or across those areas, offering focused legal services and a wide business perspective. 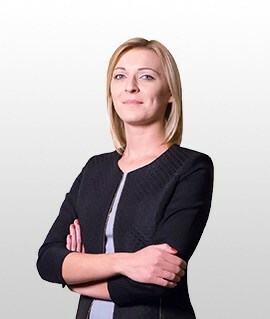 Agata is a member of Polish Bar. 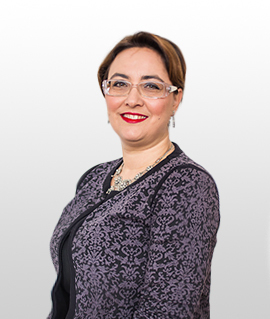 Her practice includes complex commercial litigation and regulatory matters.